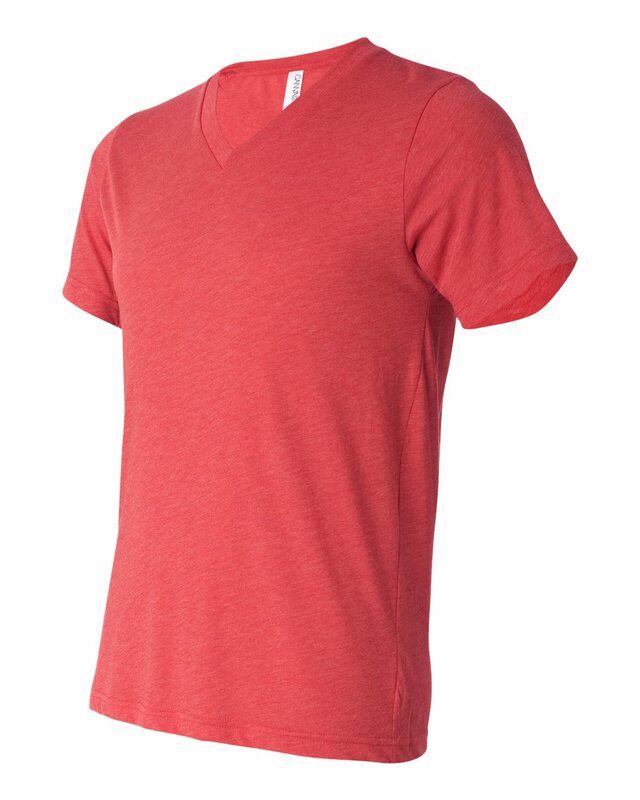 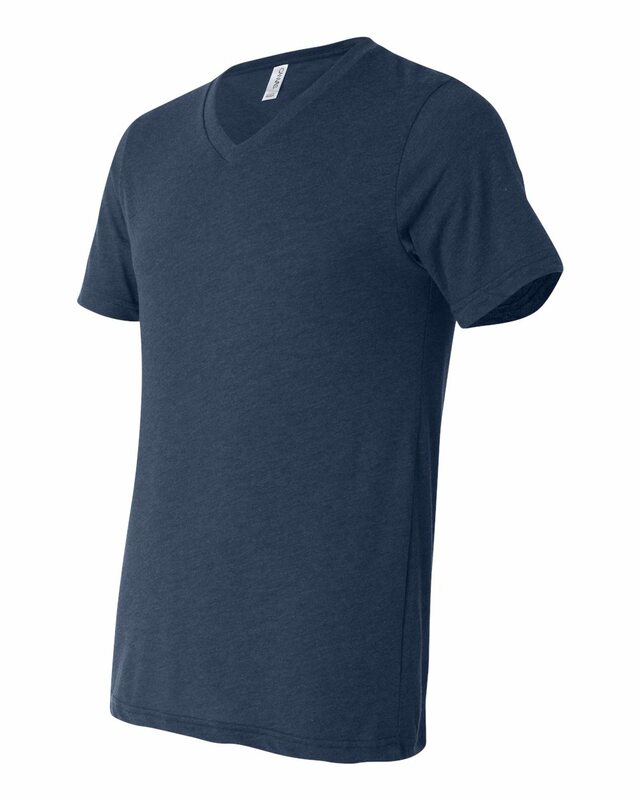 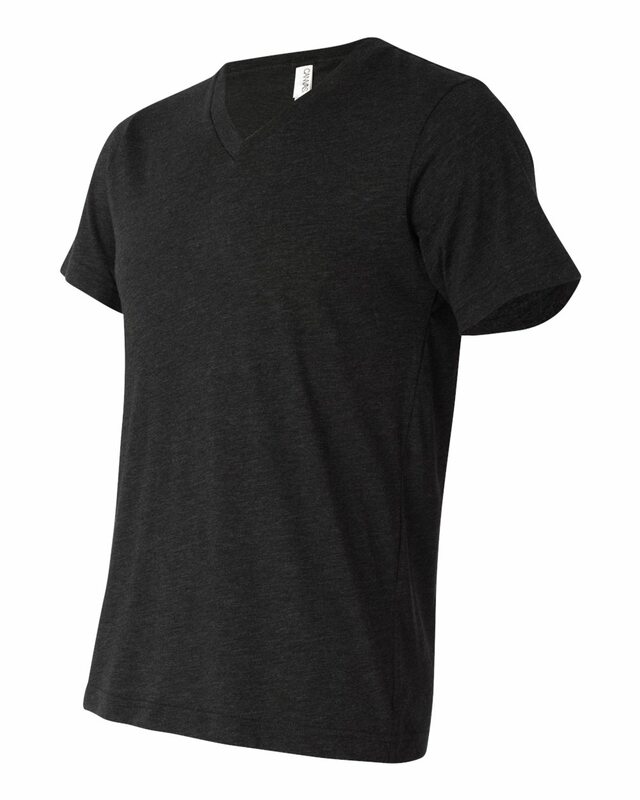 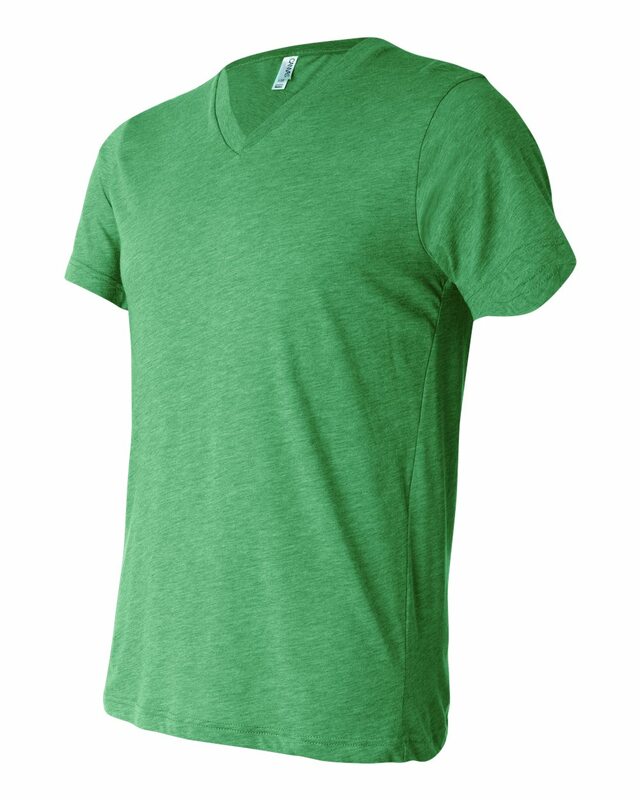 The polyester/cotton/rayon construction of this stylish v-neck tee delivers cool comfort. 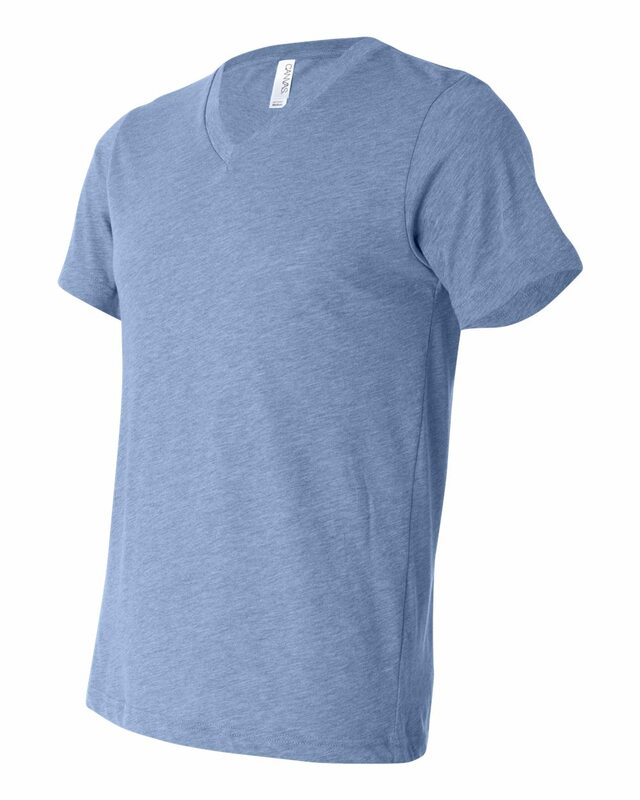 3.4 oz, 50/25/25 polyester/combed ringspun cotton/rayon, 40 singles. 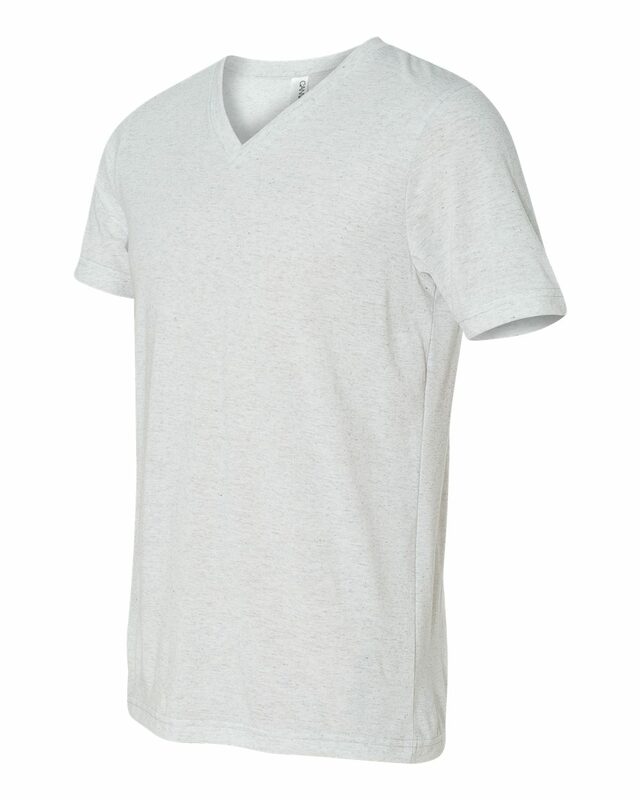 Rib cuffs and waistband.